Bringing the lambs and the wood for Korbanos [sacrifices]. Courtesy of the Machon HaMikdash [Temple Institute] website. I’ve just discovered a new website dealing with Negina called…Nigun.Info, from which the following was posted, slighted adapted (such as the connection to this week’s parsha) for Heichal HaNegina by me. Rebbe Nachman of Breslov wrote (Likkutei Moharan, Part II, Paragraph 63) that every shepherd has his own unique melody, his own niggun, born of the grass, and the place to where he leads his flock to graze, and so forth. The shepherd himself is benefited by this niggun. This is because spending so much of his time amidst the herd could result in a descent of the shepherd from his standing as man down to the level of beast. The niggun spares him from this descent. The niggun is surely as a spiritual distillation, refining men's spirit from that of the beasts. As the Ramban writes, "There is nothing as subtle within the realm of physicality as music." That is to say, that the niggun is found on the borderline of physicality, at the point of connection with the spiritual. Therefore the niggun is bestowed with the power to raise us from the material and physical to the realm of spirituality; to enable the ascent from the level of beast to the level of human. 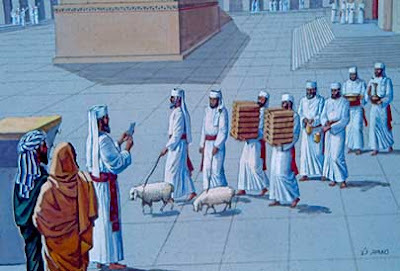 In the Holy Temple, the Levites would sing their song, accompanying the sacrificial animal's ascent towards heaven. For through sacrifice, the animalistic ascends to a level of spirituality. The Levites' song accompanied and facilitated this ascent of the bearer of the sacrifice. Through the Levites' song, the man offering the sacrifice was aroused to absolute teshuva [repentance] and thus neared his Maker.